Diego Klattenhoff (born November 30, 1979) is a Canadian actor known for his portrayals of Mike Faber in the Showtime series Homeland and as FBI Agent Donald Ressler in The Blacklist . He has also appeared as Derek in Whistler and Ivan in Men in Trees . Homeland is an American spy thriller television series developed by Howard Gordon and Alex Gansa based on the Israeli series Prisoners of War, which was created by Gideon Raff. The Blacklist is an American crime thriller television series that premiered on NBC on September 23, 2013. Raymond "Red" Reddington, a former U.S. Navy officer turned high-profile criminal, voluntarily surrenders to the FBI after eluding capture for decades. He tells the FBI that he has a list of the most dangerous criminals in the world that he has compiled over the years and is willing to inform on their operations in exchange for immunity from prosecution. However, he insists on working exclusively with a rookie FBI profiler by the name of Elizabeth Keen. The series also stars Diego Klattenhoff, Ryan Eggold, and Harry Lennix. The pilot episode was written by Jon Bokenkamp and directed by Joe Carnahan. Executive producers for the series include Bokenkamp, John Eisendrath, and John Davis for Sony Pictures Television, Universal Television, and Davis Entertainment. French River is a community in the Canadian province of Nova Scotia, located in Pictou County. Klattenhoff studied with some of Canada's most respected acting coaches, including David Rotenberg, Bruce Clayton and Rae Ellen Bodie. His first notable acting role was in Mean Girls (2004). He followed that with a string of appearances in notable TV shows like Smallville and Stargate SG-1 , and films like Lucky Number Slevin (2006). Since 2006, he has been in recurring roles like Young Jacob in CBC Television's At the Hotel , Derek in CTV's Whistler , Ivan Palacinke in ABC's Men in Trees and Mike Callahan in NBC's Mercy . David Rotenberg is a former politician in Ontario, Canada. He served in the Legislative Assembly of Ontario from 1977 to 1985 as a member of the Progressive Conservative Party, and was briefly a cabinet minister in the government of Frank Miller. Mean Girls is a 2004 American teen comedy film directed by Mark Waters and written by Tina Fey. The film is partially based on Rosalind Wiseman's 2002 non-fiction self-help book, Queen Bees and Wannabes, which describes female high school social cliques and the damaging effects they can have on girls. Tina Fey also drew from her own experience at Upper Darby High School as an inspiration for some of the concepts in the film. Smallville is an American television series developed by writer-producers Alfred Gough and Miles Millar, based on the DC Comics character Superman created by Jerry Siegel and Joe Shuster. The series, initially broadcast by The WB, premiered on October 16, 2001. After Smallville's fifth season, The WB and UPN merged to form The CW, the series' later United States broadcaster. Smallville, which ended its tenth and final season on May 13, 2011, follows Clark Kent in the fictional town of Smallville, Kansas, before he becomes known as Superman. The first four seasons focus on Clark and his friends in high school. After season five Smallville ventures into adult settings, eventually focusing on his career at the Daily Planet and introducing other DC comic-book superheroes and villains. 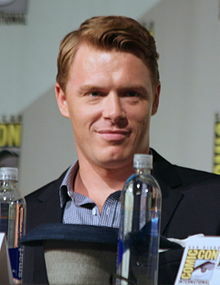 Klattenhoff appeared in Homeland as Mike Faber, a Marine Captain whose best friend returns to the U.S. after disappearing in Iraq eight years earlier. He and the cast were nominated once for a Screen Actors Guild Award for Best Cast, and twice for a PAAFTJ Television Awards for Best Cast in a Drama Series. He has also guest starred on television series such as Psych , Supernatural , 24 , and Falling Skies . The Screen Actors Guild (SAG) was an American labor union which represented over 100,000 film and television principal and background performers worldwide. On March 30, 2012, the union leadership announced that the SAG membership voted to merge with the American Federation of Television and Radio Artists (AFTRA) to create SAG-AFTRA. The Pan-American Association of Film & Television Journalists, also known as the PAAFTJ Television Awards, is an annual awards ceremony held by a non-profit organization headquartered in Burbank, California. The first annual awards were given on July 8, 2012. The PAAFTJ honors the best achievements in commercial and non-commercial television in the US. The members of PAAFTJ vote annually for the PAAFTJ Television Awards, which are presented to outstanding shows in fields such as drama, comedy, variety, and animation. As of 2013, the categories have been reduced to 45. Psych is an American detective comedy-drama television series created by Steve Franks and broadcast on USA Network with syndicated reruns on ION Television. The series stars James Roday as Shawn Spencer, a young crime consultant for the Santa Barbara Police Department whose "heightened observational skills" and impressive eidetic memory allow him to convince people that he solves cases with psychic abilities. The program also stars Dulé Hill as Shawn's intelligent best friend and reluctant partner Burton "Gus" Guster, as well as Corbin Bernsen as Shawn's father, Henry, a former officer of the Santa Barbara Police Department. Pacific Rim is a 2013 American science fiction monster film directed by Guillermo del Toro and starring Charlie Hunnam, Idris Elba, Rinko Kikuchi, Charlie Day, Burn Gorman, Robert Kazinsky, Max Martini, and Ron Perlman. The screenplay was written by Travis Beacham and del Toro from a story by Beacham. The film is set in the future, when Earth is at war with the Kaiju, colossal sea monsters which have emerged from an interdimensional portal on the bottom of the Pacific Ocean. To combat the monsters, humanity unites to create the Jaegers, gigantic humanoid mechas, each controlled by at least two pilots, whose minds are joined by a mental link. Focusing on the war's later days, the story follows Raleigh Becket, a washed-up Jaeger pilot called out of retirement and teamed with rookie pilot Mako Mori as part of a last-ditch effort to defeat the Kaiju. 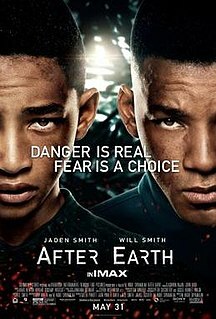 After Earth is a 2013 American post-apocalyptic science fiction action film directed by M. Night Shyamalan, who co-wrote it with Gary Whitta, based on an original story idea by Will Smith. It is the second film after The Pursuit of Happyness that stars real-life father and son Will and Jaden Smith; Will Smith also produced via his company Overbrook Entertainment, and the distribution was by Columbia Pictures. The film takes place in the 31st century, when the Earth has long been abandoned and humans have been in conflict with a mysterious alien race. It tells the story of a high-ranking general in the peacekeeping organization Ranger Corps, and his son, who, after an incident during a spaceflight, find themselves fighting for survival on a hostile planet. 2002 Witchblade Uncredited Episode: "Destiny"
2003 Wild Card N/A Episode: "Pilot"
2003 Mutant X Janitor #1/Johnny Cummings Episode: "Shadows of Darkness"
2003 Veritas: The Quest Tymus Episode: "Avalon"
2004 1-800-Missing Brad Whitman Episode: "One Night Stand"
2004 Sue Thomas: F.B.Eye Jason Albright Episode: "The Bounty Hunter"
2005 Smallville Josh Greenfield Episode: "Krypto"
2005 Stargate SG-1 Team Leader Episode: "Ex Deus Machina"
2006 Psych Dylan Maxwell Episode: "Speak Now or Forever Hold Your Piece"
2006 Supernatural Duane Tanner Episode: "Croatoan"
2009 The Listener Tom Crawford Episode: "Emotional Rescue"
2009 ER Jay Episode: "Shifting Equilibrium"
2011 Falling Skies Lieutenant Danner Episode: "Mutiny"
2012 Longmire Eli Episode: "The Cancer"
Richard Anthony Wolf is an American television producer, best known as the creator and executive producer of the Law & Order franchise, which since 1990 has included six police/courtroom dramas and four international spinoffs, as well as a creator and executive producer of the Chicago franchise, which since 2012 has included four Chicago-based police, courtroom, fire, and medical dramas. Wolf has won numerous awards, including an Emmy Award and a star on the Hollywood Walk of Fame. 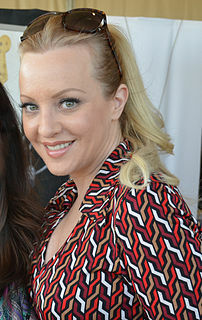 Wendi Anne McLendon-Covey is an American actress and comedian, known primarily for her work in comedic and improvisational roles and the character Beverly Goldberg, a family matriarch, on the ABC comedy series The Goldbergs, for which she was nominated for two Critics' Choice Television Award for Best Actress in a Comedy Series. Marie Mireille Enos is an American actress. Drawn to acting from a young age, she graduated in performing arts from Brigham Young University, where she was awarded the Irene Ryan Acting Scholarship. Having made her acting debut in the 1994 television film Without Consent, she has since received nominations for a Tony Award, a Golden Globe Award, and an Emmy Award. 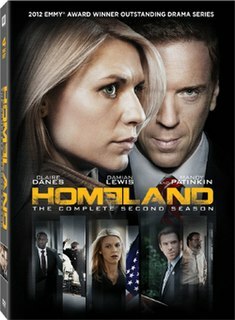 The second season of the American television drama series Homeland premiered on September 30, 2012 on Showtime and concluded on December 16, 2012, consisting of 12 episodes. The series is loosely based on the Israeli television series Hatufim created by Gideon Raff and is developed for American television by Howard Gordon and Alex Gansa. The third season of the American television drama series Homeland premiered on September 29, 2013 on Showtime, and concluded on December 15, 2013, consisting of 12 episodes. The series is loosely based on the Israeli television series Hatufim created by Gideon Raff and is developed for American television by Howard Gordon and Alex Gansa. Amir Arison is an American film, television, and theatre actor, perhaps best known for his role as Special Agent Aram Mojtabai in NBC's The Blacklist. "Game On" is the fourth episode of the third season of the American television drama series Homeland, and the 28th episode overall. It premiered on Showtime on October 20, 2013. The Family is an American thriller television series. It was created by and executive produced by Jenna Bans, former ShondaLand regular writer. The series follows on the return of the mayor's young son, who was presumed dead after disappearing over a decade earlier. The series stars Joan Allen as Claire Warren, the ambitious and manipulative mayor of the fictional city Red Pines, Maine, and matriarch of the Warren family, who announces her candidacy for governor when her son Adam, played by Liam James, returns after having been kidnapped 10 years prior. The series premiered on Thursday, March 3, 2016, on ABC before moving to its regular time slot on Sundays beginning March 6, 2016. Quantico is an American television drama thriller series which aired on the American Broadcasting Company (ABC) from September 27, 2015, to August 3, 2018. Produced by ABC Studios, the series was created by Joshua Safran, who also served as the showrunner. Mark Gordon, Robert Sertner, Nicholas Pepper and Safran are its executive producers. "The Stewmaker" is the fourth episode of the first season of the American crime drama The Blacklist. The episode premiered in the United States on NBC on October 14, 2013. Designated Survivor is an American political thriller drama television series created by David Guggenheim that aired on ABC for two seasons, and will air on Netflix from season three onwards. Kiefer Sutherland stars as Thomas Kirkman, an American politician named as the designated survivor for the State of the Union address, who suddenly ascends from the position of Secretary of Housing and Urban Development to President after an explosion kills everyone ahead of him in the presidential line of succession. Kirkman deals with his inexperience as President while looking to uncover the truth behind the attack. Emily Tremaine is an American actress, best known for playing Audrey Bidwell, Donald Ressler's Diego Klattenhoff former fiancée on NBC's The Blacklist and Freeform's Guilt as Natalie Atwood. The fifth season of the American crime thriller television series The Blacklist premiered on NBC on September 27, 2017, with a timeslot change from Thursday at 10:00 PM to Wednesday at 8:00 PM. The season was produced by Davis Entertainment, Universal Television and Sony Pictures Television, and the executive producers are Jon Bokenkamp, John Davis, John Eisendrath, John Fox, and Joe Carnahan. The season contained 22 episodes and concluded on May 16, 2018. The season aired the series' 100th episode. Li Jun Li is an American actress, best known for her portrayal of Iris Chang in the ABC thriller Quantico and Rose Cooper in the Fox television series The Exorcist. Amber Skye Noyes is an American actress and singer, known for her portrayal of Tori Windsor in The CW series Beauty & the Beast and Celine Fox in the third season of the ABC thriller Quantico. What/If is an upcoming American drama web television series, created by Mike Kelley, that is set to premiere on Netflix. 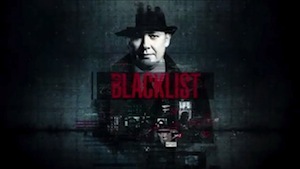 The sixth season of the American crime thriller television series The Blacklist premiered on NBC on Thursday, January 3, 2019 at 10:00 PM, followed by its time slot premiere on Friday, January 4, 2019 at 9:00 PM. The season is set to contain 22 episodes. ↑ "Diego Klattenhoff Interview". Elle. ↑ "Diego Klattenhoff as Captain Mike Faber". TV3. ↑ "Diego Klattenhoff Discusses His Role On 'Homeland'". Good Day L.A. Sep 5, 2012. Archived from the original on 2012-10-29. Retrieved 2012-10-05. ↑ "PAAFTJ Television Awards Nominations Announced". Paaftj. June 18, 2013. ↑ "PAAFTJ Television Awards Winners Announced". TV By the Numbers. July 8, 2013. ↑ "Adam Goldberg Joins ABC's Divorce; Diego Klattenhoff in Blacklist; Lucky 7 Adds One". Deadline. March 2013. ↑ "Blacklist Ratings". Inside TV. September 24, 2013.